Parallax WordPress Themes are impressive as the smooth and dynamic parallax effects stay in the visitor’s mind while scrolling down the page. As it is one of the latest trends in web industry, there are quite a lot of beautiful WordPress themes which come with parallax effects. If you have never heard of “parallax”, we will give you a brief description of this trend in web design. What Is The “Parallax” Effect? The “parallax” (parallaxis) term comes from the Greek and means some sort of alteration. Objects that are away from you have a smaller parallax than the ones near you. In web design context, “parallax” creates a sensation and effect of depth when you scroll a page by displaying multiple backgrounds that seem to be moving at different speeds. This way, a so called faux 3D effect is created and visitors get an interesting, beautiful user experience with a “wow” effect. Many websites use this web design technique today as it can easily be achieved by using certain scripts on the page. However, we will not dive into technical details here on how to accomplish the parallax effect. Instead, we want to list some nice and popular Premium Parallax WordPress Themes from different developers, so you can scroll through the list and see which WordPress theme pleases you most and which one fits your project needs and requirements. Divi is a parallax WordPress Theme which is highly flexible. With Divi you are able to create a very unique and beautiful website. It is responsive and looks great on all kinds of screen size resolutions. Nice parallax effects let it appear modern and truly elegant. The Vertex Portfolio Parallax WordPress Theme is a responsive WP template with outstanding parallax effects. Included shortcodes give you the opportunity to create a beautiful and fancy website without the need of any coding skills. You can create a very nice portfolio to show latest projects or work. Zerif Pro Portfolio WordPress Theme is perfect for all kinds of creative websites to present latest work and projects. This one page WP template offers dynamic and modern parallax effects to present your content in an appealing and attractive way. Zerif Pro Portfolio WordPress Theme is customizable in many different ways and comes with useful features, options and functions. Monstroid Multi-Purpose WordPress Theme is a powerful template for various kinds of online presences. Monstroid is fully responsive and SEO optimized. Beyond that, this fine multi-purpose WordPress theme is compatible with great and useful plugins as WooCommerce or BuddyPress. With Monstroid you will be able to create a personal website, a professional business site or any other kind of online presence you may think of. This pretty parallax WordPress theme is perfect to build a professional business website or a personal blog. It is highly customizable and looks awesome due to some beautiful parallax effects which will impress your visitors. This very modern WP template fits perfectly for all kinds of different websites. In terms of design it is stylish and very beautiful and comes with fancy parallax design elements. 907 is a highly flexible parallax WordPress theme with a bunch of great features, options and functions. 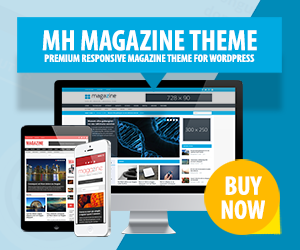 This beautiful WP theme can be used as a single but also multiple page theme. For all theme related issues, you will find help in the support forum. Scroller is a 100% responsive WordPress theme which comes with a clean and minimalistic design. Great parallax effects make it appear dynamic and highly modern. Scroller offers many features to customize your website accordingly. With this creative WordPress theme you can create a modern online presence with super-smooth scrolling effects. This theme is perfect for any kind of website you can imagine. Besides, Jkreativ supports WooCommerce so you can set up a professional online shop. Jarvis is a very popular WordPress template with pretty parallax effects. Thanks to WooCommerce support, you are able to create a modern online presence including an online shop. With Jarvis you may customize your website in various directions and the way you prefer. Parasponsive is a very modern WordPress theme to create a beautiful online shop. With Parasponsive your content will look amazing on every device as it is responsive and thus fits all screen size resolutions. Beautiful parallax effects make your website appear highly dynamic and stylish. THEONE was built with fancy parallax effects and therefore looks modern and creative. It offers powerful theme options, is WPML ready and provides many features that are perfect to create a unique website. North is a responsive parallax WordPress theme with powerful theme features and customizing options. North offers amazing parallax effects for backgrounds and more to create an appealing online presence. Olida is a super flexible and powerful WordPress template. Olida offers smooth and impressing effects and comes with 5 pre-set colors, a visual composer and is retina ready for pixel sharp photos, images or pictures of any kind. Grill is a beautiful WordPress theme which comes with fancy parallax impressions to create a nice online presence. Grill is fully responsive and thus looks awesome on any kind of screen size resolution.